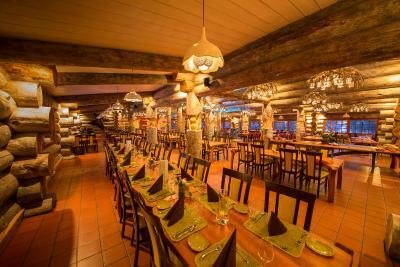 The food and selection of drinks were great, all facilities we clean and we absolutely loved the staff. This is one of the best winter resorts we have ever stayed at! Everything was wonderful, it was defiantly a trip of a lifetime. All staff went out of their way to make each day more special than the previous day! Rental equipment was good. Cabins were beautiful and comfortable. The resort infrastructure is beautiful. We wished the tower had had music and open late at night. Everything about the location was magical. 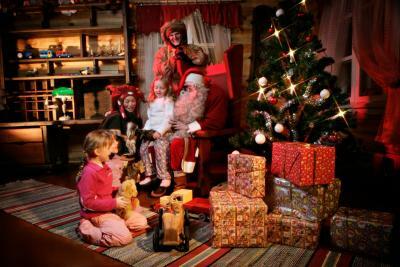 Activities were a bit costly but totally worth the money - dog sled, snowmobiles, reindeer open sleigh ride. Riding the dog sleds was our favorite activity. We stayed 3 nights and that was perfect amount of time to experience the resort and participate in the activities. Staff was very friendly and accommodating. Seeing the Northern Lights on our last night was the perfect ending to a "perfect" vacation. 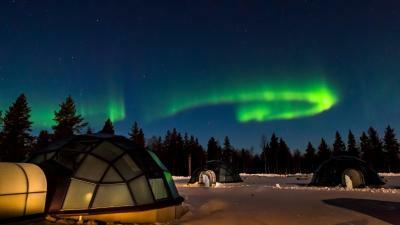 The location, the openess to view the northern lights, the unique experience to stay in an igloo. Staff was friendly. everything is perfect except the light in the carbin. It was so dark. 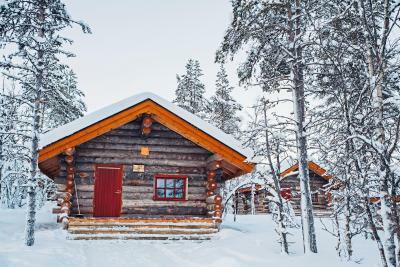 Kakslauttanen Arctic Resort - Igloos and Chalets This rating is a reflection of how the property compares to the industry standard when it comes to price, facilities and services available. It's based on a self-evaluation by the property. Use this rating to help choose your stay! 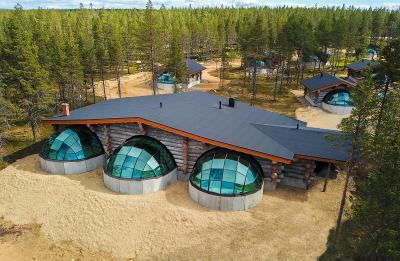 Surrounded by nature, this unique property is located in the Saariselkä Fell region of Finnish Lapland. 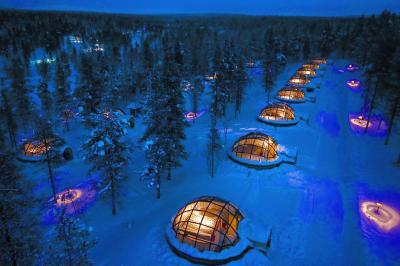 The property offers glass igloos and traditional wood chalets and has the world’s largest smoke sauna. Free WiFi and free parking are available. 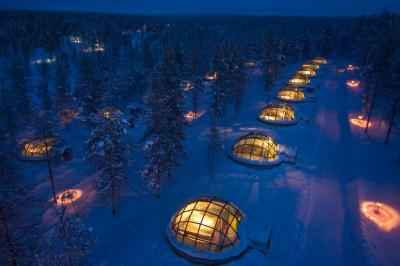 The thermal glass igloos feature a bedroom with a glass roof and luxury beds. 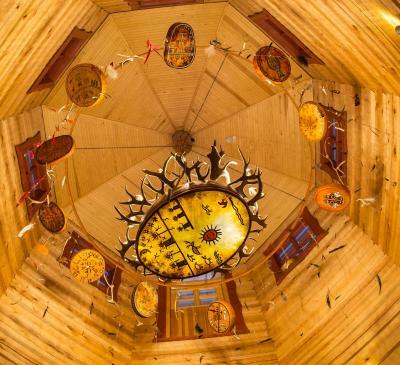 Some igloos include a bathroom with sauna, while others have shared shower facilities. The chalets feature cooking facilities, a seating area and fireplace. A private sauna is also included. 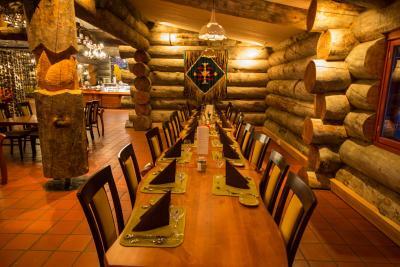 Kakslauttanen Arctic Resort offers 2 à la carte restaurants, which serve Laplandic specialties such as reindeer and char-grilled salmon. 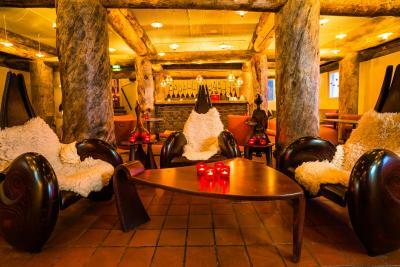 The hotel’s smoke sauna even has its own restaurant, Savusauna. 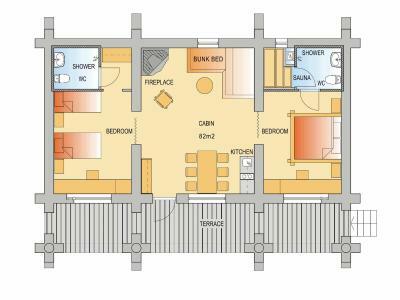 6 saunas are available, each has a relaxation room with an open fireplace. A nearby ice hole is ideal for cooling off. 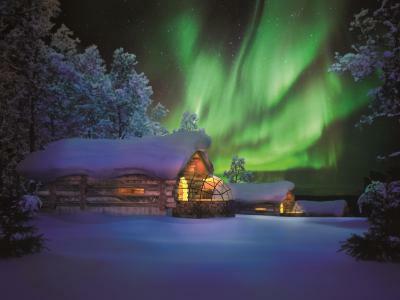 Husky and reindeer safaris can be arranged, and snowmobiling is also possible. 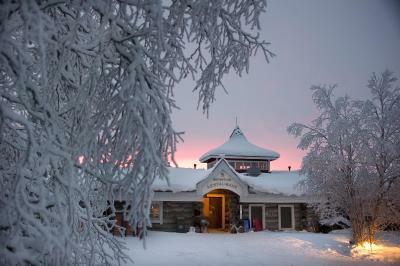 Guests can also rent cross-country skis, Nordic walking sticks and snow shoes. 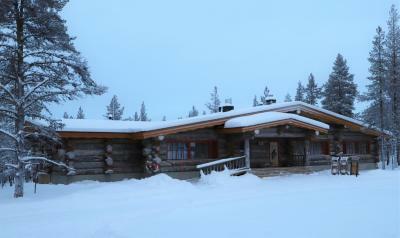 Urho Kekkonen National Park is 3.1 mi away from Kakslauttanen Arctic Resort - Igloos and Chalets. 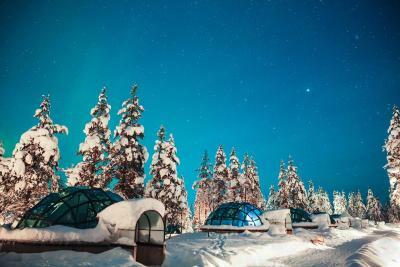 When would you like to stay at Kakslauttanen Arctic Resort - Igloos and Chalets? 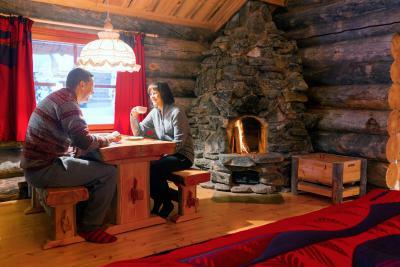 Traditional wooden cottage that features a sauna, kitchenette and sitting area with a fireplace. Offering a little more space, this traditional wooden cottage includes a sauna, kitchenette and sitting area with a fireplace. 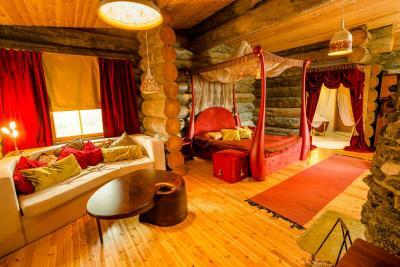 Spacious, wooden cottage that has a sauna, kitchenette and sitting area with a fireplace. Made of thermal glass, these igloos feature luxury beds and a private toilet. Shower facilities are shared. 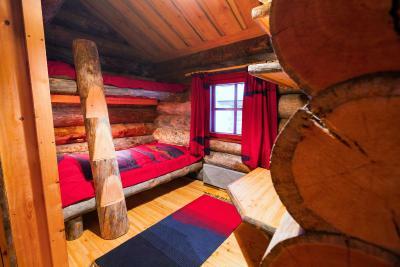 This double room features a hot tub, sauna, kitchenette and fireplace. 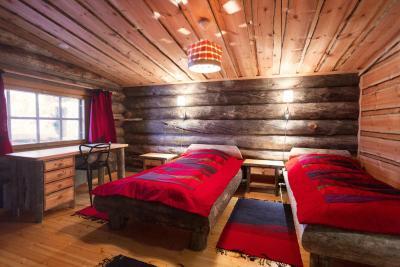 Spacious wooden cottages that features a sauna, kitchenette and seating area with a fireplace. 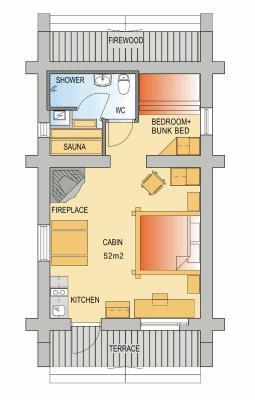 Wooden cottages that features a sauna, kitchenette and seating area with a fireplace. 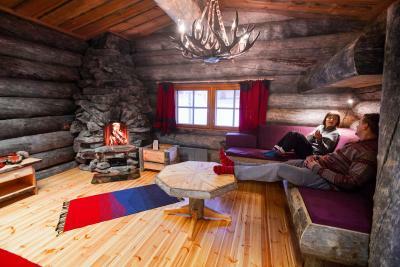 This chalet features a sofa, seating area and sauna. 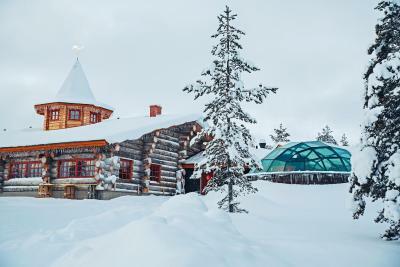 Made from thermal glass, this igloo has a private shower and toilet. 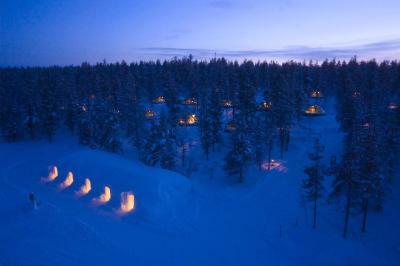 These igloos are located in the western part of the igloo village, 3.1 mi from the other igloos. 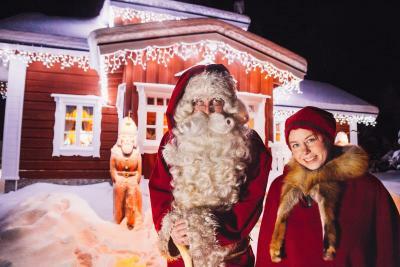 House Rules Kakslauttanen Arctic Resort - Igloos and Chalets takes special requests – add in the next step! 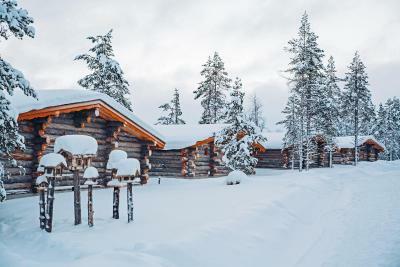 Kakslauttanen Arctic Resort - Igloos and Chalets accepts these cards and reserves the right to temporarily hold an amount prior to arrival. If you expect to arrive after 18:00, please inform Kakslauttanen Arctic Resort in advance. If you wish to book activities, please contact the property in advance. Dinner was good. A la carte menu was not so good. Breakfast coulde be better... not many choices, no fruits... Staff is very nice. I wish the hours of the sauna would have been longer. We could never seem to fit it into our schedule. Very expensive place (nearly 1000 EUR per night). Hidden fees (firewood 35 EUR, drinks are not included in dinner, expensive excursions and processing fee 30 EUR per activity, etc.). Breakfast is horrible and the same every day. For such resort this should be much better than buffet. Very long process with dinner order. 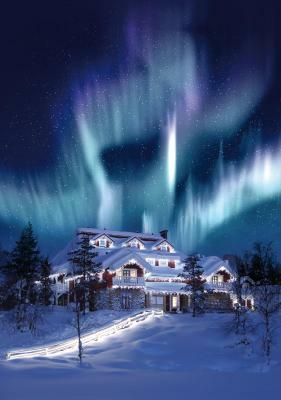 Very nice location in Lapland. Place looks like peaceful winter oasis. We stayed in West Village. 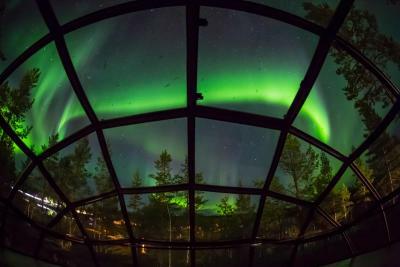 We were also lucky to see Northern Lights during our stay every night. Kelo-house with glass igloo was amazing. Dinner was generally very good every night and we loved deserts. Staff seemed to be nice, helpful and friendly. The nature, beautifuland relaxing scenery you can ever seen in youpr life. Of course, the northern lights which las for hours. 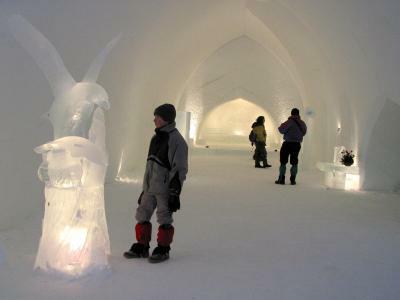 The location is very nice and at a peaceful place surround us with all white snow. Sleep inside the igloo with the clear sky on top with the nice view of star at night and morning sunshine as wake up call in the morning. Super!!!!! We paid for the glass igloo, but end up in the different igloo that we dislike. 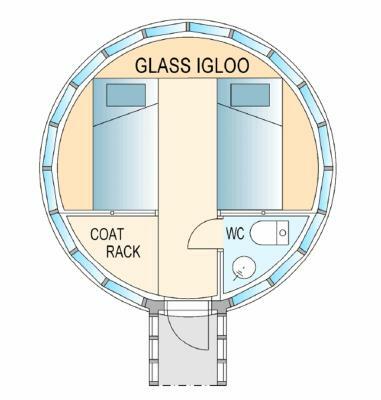 Due to the glass igloo had some problem , they moved us to Kelo igloo that is not 360° and block by all tall tree. I did rejected the offer. 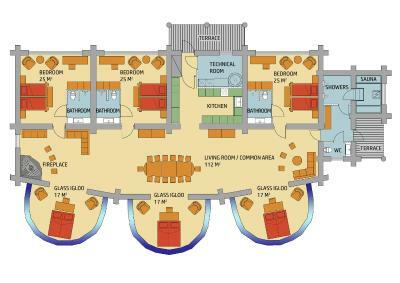 The staff told me that is the only room the hv. I need to accept it. I made a complaint through booking they reply me that I agreed accepted. During 10pm at night ,the staff told me I had no choice to force myself to accepted or I will stay in the lobby? That is their answer. I really cannot accept it. This was absolutely beautiful, the rooms were very spacious & bed very comfortable. Breakfast had an enormous variety & was very filling. Staff were very friendly & helpful. The igloos in the east village are far more exclusive than the west in position terms but literally only have a shelving area for cases/belongings and a loo. The log cabin was beautiful, equipped with everything you need. Condiments and kettle in both accommodations. Great range of activities available at a cost. Lovey food with half board option, drinks are €7+ for alcoholic but free tea and coffee offered all day. Would go back in a heartbeat 💗! A bit far from the restaurant depends on your room location. 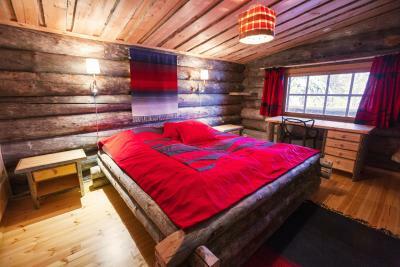 Perfect stay for enjoy the Finnish experience. Over rated in terms of stay. The price and experience is inversely proportional. I paid a bomb for the experience and I am Joyner all sure if it was worth it! I was hoping for exceptional experience, but it did not live up to it. 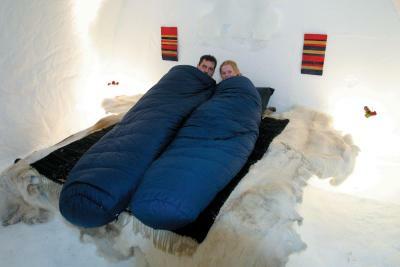 For 700€ to stay in the igloo, there was no private shower. When you need to shower, you have to walk at least 5-6 minutes (in -17 degrees weather) if you stay at the very end. 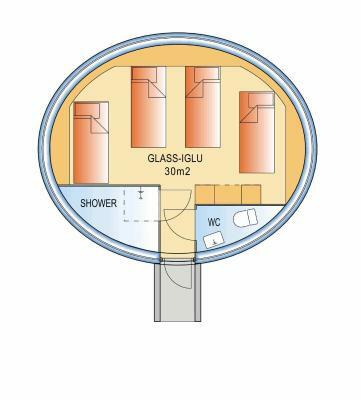 Dormitory kind of shared bathrooms with basic amenities (only shower gels, shampoo, and low quality hair dryer.) 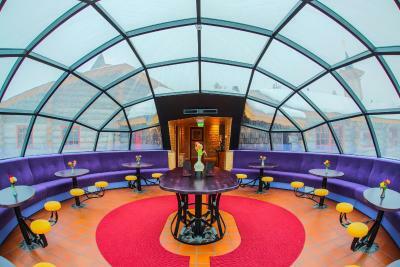 We booked the igloo with half board package: but every morning, we had to book for a table for dinner! Dinner: there was no options for you to choose. They provided 3-course set menu. 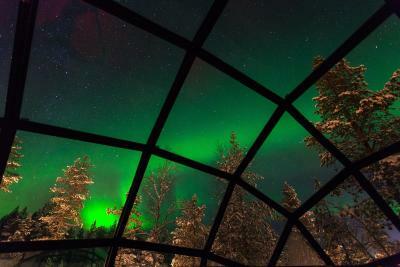 Great experience to stay in igloo because we were able to see Aurora Borealis for hours. Friendly staff.